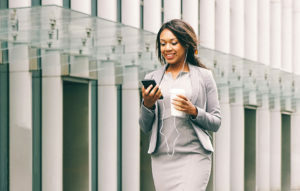 Listening to an audiobook is an easy way to maximize your productivity while on the go. Feel inspired, motivated, or entertained whether heading out on a business trip or your daily commute. Simply load up your device with the latest business audiobooks or other timely new releases and your trip will fly by. Enjoy these business recommendations and other listening ideas, along with sample clips of exciting new releases. 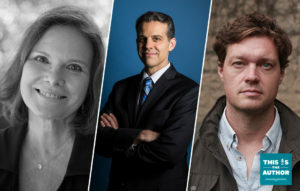 S4 E17: Carolyn Forché, Eric O’Neill, and Evan Ratliff	These authors reveal personal truths, undercover spy stories, and dark secrets in their riveting audiobooks. 11 Business Listens to Change Your Mind	Check out these new business listens that will spark your analytical mind, and perhaps even change it. 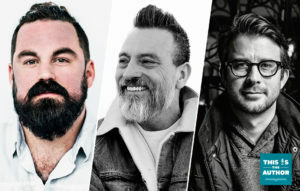 S4 E09: Grant Sabatier, Erwin Raphael McManus, and Aaron Dignan	As you listen to each of these authors talk about their audiobooks, their messages of taking action will inspire you—whether at work, with your finances, or within yourself—to enable a fuller life.